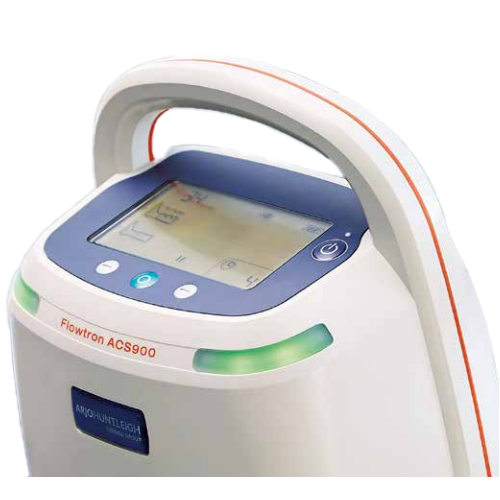 Flowtron® ACS900 Active Compression Pump delivers both uniform and sequential compression for treating Deep Vein Thrombosis (DVT). 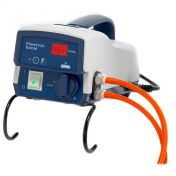 The Flowtron ACS900 DVT Compression Pump is simple and easy to use for enhancing the circulation of blood in the deep veins of the legs, reducing venous stasis and helping to prevent the formation of DVT. Both Uniform and Sequential compression are proven to help prevent VTE1 when used as part of a prescribed care pathway. 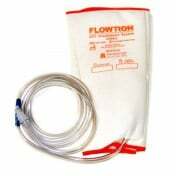 Flowtron garments are non thermal sleeves with excellent moisture management properties. A combination of garments can be used simultaneously, including combinations of foot, calf and thigh. 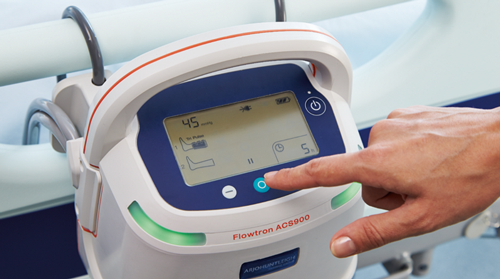 The patented SmartSense™ auto garment recognition technology incorporated in the Flowtron ACS900 will automatically detect the attached garments and supply the correct pressure. 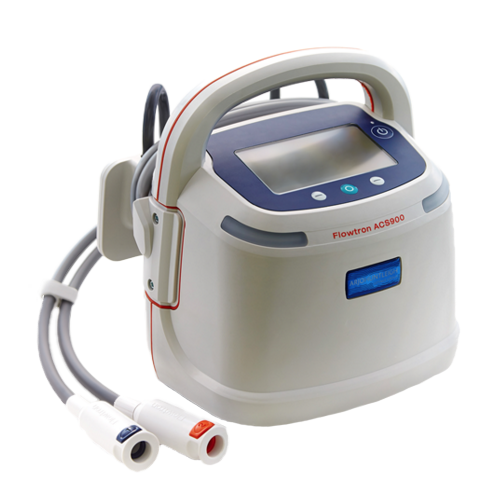 Flowtron ACS900 Continuous & Sequential DVT Compression Pump provides comfort, convenience and choice into one complete compression therapy system. 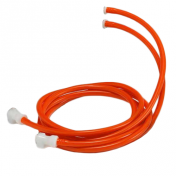 A unique cable management system aids tubeset and power cord management in the clinical area and during transportation and storage. 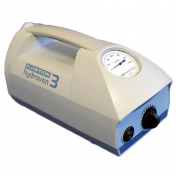 An integrated battery provides uninterrupted compression therapy and the Patient Run Hours meter records how long the compression has been delivered. 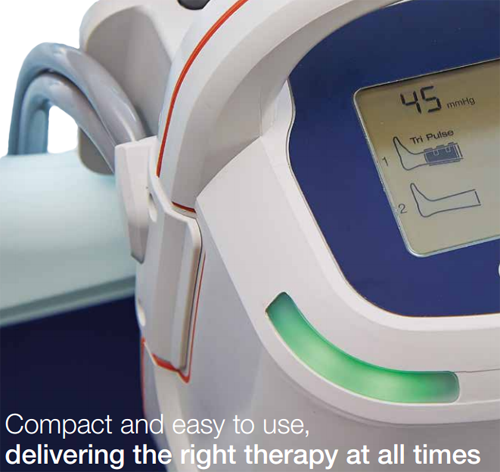 One system for all IPC therapy requirements. One button start-up feature for ease of use. 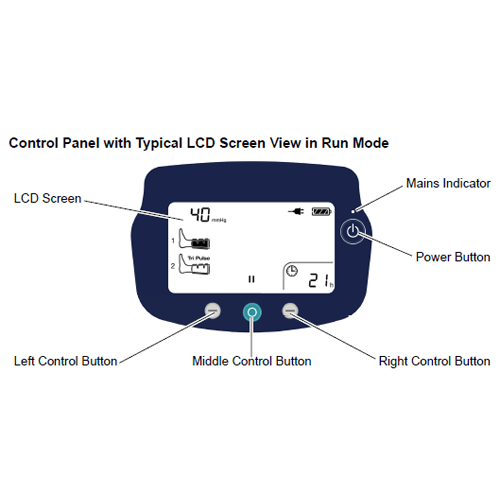 Large LCD screen to view and manage therapy. Patient run hours meter display. Real-time pressure indicator displays in a large easy to read screen, providing confirmation that the pump is delivering the expected compression at all times. Integrated battery offers uninterrupted therapy. 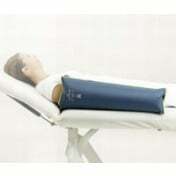 Extensive range of comfortable DVT garments. Lightweight garments which are non-thermal in nature. 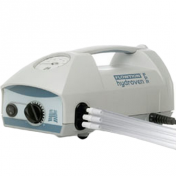 ArjoHuntleight Flowtron DVT Pump Product Number: ACS900. Size: 9.1 x 9 x 7.5 Inches. 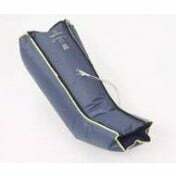 Foot Garment: 130 ± 10 mmHg. Calf and Calf & Thigh Garments (Uniform): 35 - 65 ± 5 mmHg. 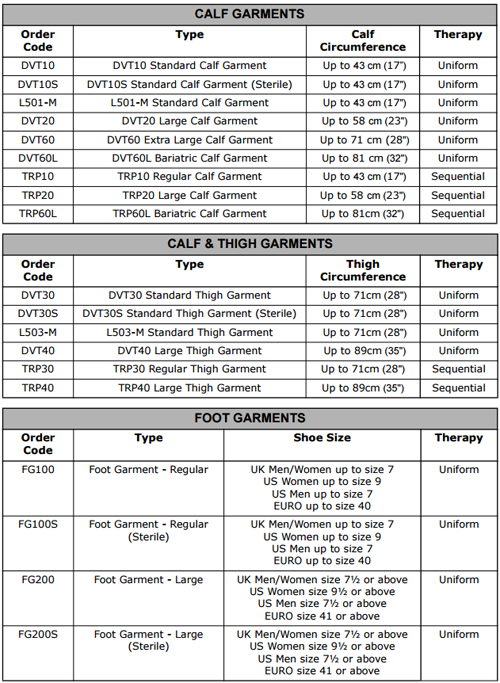 Claf and Calf & Thigh Garments (Sequential): 45 ± 5 mmHg. Case Material: Flame Retardant ABS Plastic. Operation Mode: Continuous or Intermittent. Power Requirements: 100-230V, 50-60 Hz, 10-60 VA. 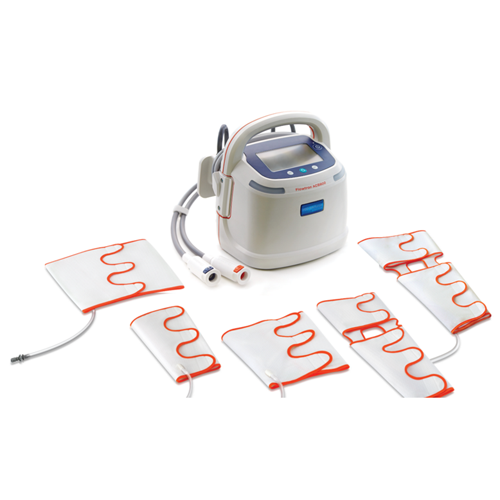 The Flowtron ACS900 Active Compression System is suitable for DVT prevention in acute care environments, as a single or adjunctive therapy. Severe arteriosclerosis or other ischemic vascular diseases. Severe congestive cardiac failure or any condition where an increase of fluid to the heart may be detrimental. Known or suspected acute DVT, thrombophlebitis or Pulmonary Embolism (PE). Any local condition that the garment could disturb, including: gangrene, a recent skin graft, dermatitis or untreated, infected leg wounds. 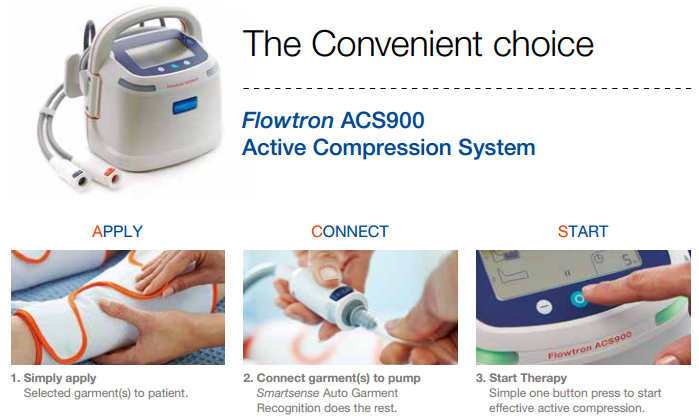 Flowtron ACS900 Brochure highlights the features and benefits of this DVT pump. Intermittent Compression Study results are highlighted. 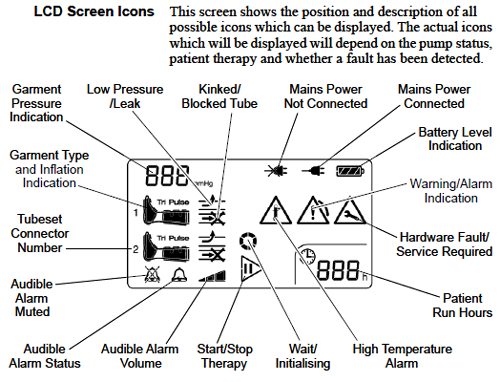 ACS900 User Manual contains operating instructions, maintenance, controls and alarm information. Cleaning Instructions for the ACS900 Compression Pump. 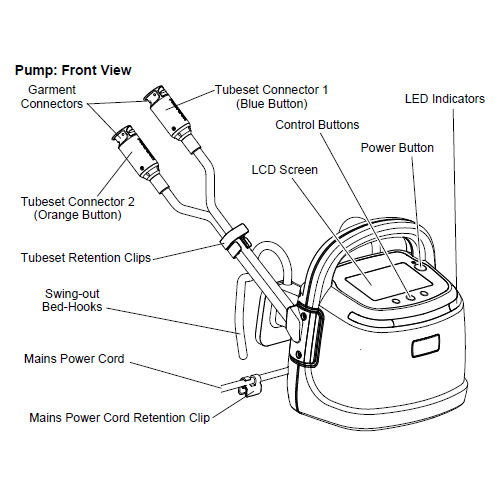 Maintenance Instructions for the ACS900 DVT Pump. 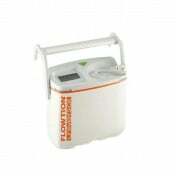 Flowtron DVT Pump Specifications includes size, weight, electrical and other key information. ACS900 Troubleshooting Guide offers instructions to solve common problems with your compression pump. 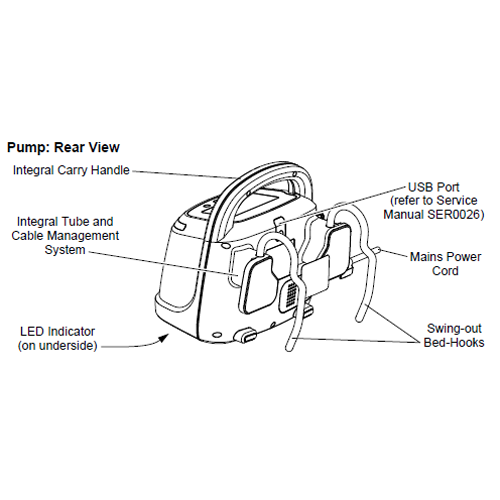 ACS900 Compression Pump Garments and Accessories displays the selection options along with sku numbers. Guyatt G, Akl E, Crowther M et al (2012). Executive summary: antithrombotic therapy and prevention of thrombosis, 9thed: American College of Chest Physicians Evidence Based Clinical Practice Guidelines. Chest, 141:7S-47S. Falck-Ytter Y, Francis CW, et al. Antithrombotic Therapy and Prevention of Thrombosis, 9th edition: ACCP Evidence Based Clinical Practice Guidelines: Prevention of VTE in Orthopedic Surgery Patients. Chest; 141:2 , Feb 2012 Supplement. Cohen AT, Tapson VF, Bergman J-F et al. Venous thromboembolism and prophylaxis in the acute hospital setting (ENDORSE study): A multinational cross-sectional study. Lancet. 2008; 371: 387-394. Ho KM(2014). Benefit of intermittent pneumatic compression of lower limbs in reducing venous thromboembolism in hospitalised patients: interactions between risk and effectiveness. Anaesth Intensive Care. ;42(1):140-1 3.